Wilmington was once called “The Defense Capital of the State” because of its contributions to the World War II effort. The North Carolina Shipbuilding Company, Wilmington’s biggest employer, built 243 cargo vessels during the duration of the war. Many other manufacturing industries contributed concrete drydocks, creosote products, dairy products, pulpwood, and fertilizer to the war effort. The city also provided training areas for every branch of the military, and its inhabitants served as Tuskegee Airmen, submarine skippers, bomber pilots, Navy frogmen, doctors, and nurses, and in many other roles. Many of these were awarded decorations for valor. If you live in Wilmington and have fallen victim to substance abuse don’t hesitate to seek treatment. There are enormous resources in at your disposal. The city now deserves badges of honor for the courageous yet compassionate fight they’ve been putting up against the addiction crisis in their midst. The population was reported as being 117,525 in 2016. Wilmington’s median annual household income is nearly 10,000 below the national median. Per capita income is very close to the national median, which might suggest that more households have single income earners. The unemployment rate of 4.4 percent is close to the national average. Forbes Lists names the city as the 19th best city in America for business and careers. Wilmington is just a short distance from the ocean, located on the Cape Fear River. If you remember having seen the film Cape Fear in either its 1962 or 1991 versions the very name of the area may evoke visions of crazed southern felons intent on vengeance in the extreme, but in fact the area was simply the setting for the story and no scenes from either movie were filmed in the Cape Fear area. The first film’s creators simply thought that “Cape Fear” sounded like a brilliant setting for a place in which a sociopath drifter might drive a nice American family to the ends of their wits. And boy. were they right. Wilmington does appear to be the kind of sleepy southern town portrayed in the movies, full of colleges and museums and architectural attractions. The county seat of Hanover County, Wilmington isn’t part of a HIDTA (High Density Drug Trafficking Area), but drug addiction is still a huge problem; everyone from students to suburban soccer moms to the elderly have been effected, and the number of babies born addicted to opioids rose from 53 in 2016 to 156 in 2017. Perks were provided by pharmaceutical companies to doctors for prescribing powerful painkillers to patients who may not have even needed them. Their greed is partly to blame for the rise in overdose casualties. Arizona-based Insys Therapeutics is facing some heavy legal action for making payments to doctors to encourage them to prescribe the medication Subsys, developed for cancer patients but often prescribed to those without cancer. Doctors who received kickbacks for prescribing more medication than necessary are now facing prison sentences. A recent report from Castlight Health says Wilmington is one of the 25 worst cities in the country for abuse of opioids. The city is making heroic efforts to curb the downward trend, but funding to address the problem is still woefully insufficient. Many say that the alleged high incidence of opioid abuse reported is actually an effect of the fact that Wilmington has many recovery resources which attract addicts from other regions. The reports may be more accurate if they were able to cross reference the data with how many addicts are actually in recovery. Wilmington hosts around 300 12-step meetings per week, and there are numerous inpatient and outpatient recovery programs. The Wilmington Treatment Center has long been regarded one of the best such facilities in the country, even before the opioid crisis became news, and the city as a whole is seen as a kind of mecca for recovering addicts. Heroin and cocaine possession in North Carolina are seen as Class I felonies regardless of perceived intentions, bringing sentences of six months to a year in prison plus fines. Anyone caught distributing cocaine or heroin is charged with a Class F or G felony, which can lead to five to seven years in jail and even stiffer fines. Selling cocaine to someone under the age of 16 or to a pregnant woman, or selling within three hundred feet of school property is a Class E felony. As in most states, marijuana possession and sale aren’t punished quite so harshly. But even though the state has decriminalized marijuana possession there are no allowances for medical use. Groups are now working to secure the legalization of marijuana for medical use, at the very minimum the use of marijuana extracts (specifically the oil contained cannabidiol, the element of marijuana that doesn’t create psychoactive effects) to ease epileptic seizures. But no efforts to legalize medical marijuana in North Carolina have proven fruitful, all motions being blocked by the General Assembly. How does a person get addicted? The process of addiction can be divided into four general stages: Experimentation, frequent use, abuse, and dependency. 1). Experimentation is the stage at which an individual decides to try out drugs, either out of curiosity, peer pressure, or to cope with physical or psychological pain. 2). Frequent use: Because the substance delivers something the person wants, and because it doesn’t appear to be doing any harm, the person uses more frequently, probably believing that they won’t get addicted. Even when their behavior changes users may deny that the drug is a problem. 3). Abuse: Use of the drug becomes more frequent, as do risky behaviors, but at this stage the user is losing control, their life coming to revolve around getting the next hit. Relationships, work, and health begin to suffer. 4). Dependency: The individual becomes completely dependent on the drug to the point where they will experience uncomfortable or painful withdrawal symptoms if they try to stop. Even severe negative consequences in their lifes are not enough to make them quit on their own, and they need help to get clean. If you’re struggling with an addiction, or hurting for someone who is, we can help! We can provide you with the encouragement and guidance you need to follow through on that beautiful urge to live clean and sober. Let us help you find the Wilmington recovery resources you need to get there! What is Wilmington doing to combat the drug problem? Emergency responders now carry Narcan (naloxone) to reverse death by overdose. Since the drug was first used in Wilmington in March 2016 it has been administered more than 100 times and has saved 87 lives. The grassroots group Heart of Wilmington formed expressly to fight the opioid crisis. Recognizing that the stigma against addiction is one thing that keeps people from recovering, they educate the public on the danger of opioids and the prevalence of opioid addiction. The group also defends the often stigmatized but very useful drug, Narcan, which can prevent death by reversing the effects of a drug overdose, develops internet and smart-phone apps to help recovering addicts, and organizes events to reach out to addicts and their families. If two local district attorneys have their way, heroin traffickers and other drug dealers will need a million dollar bail. Ben David and Jon David believe it’s necessary for drug dealers to remain incarcerated because of the danger they pose to the community and that they shouldn’t be allowed to be easily bailed out to sell even more. Detractors insist that this would be costly to the system, and would penalize victims while doing little to solve the problem, but the move is designed not to punish those who sell to support their own addiction habits but rather to protect the public from traffickers primarily motivated by greed. This year Wilmington unanimously passed a resolution to create a quick response law enforcement team to help opioid overdose victims enter treatment. The pilot program is called The Cape Fear Opiate Overdose Quick Response Team (CFOOQRT). The team will consist of a medical professional, a peer support specialist, and a behavioral health specialist, and possibly others. The team strives to make contact with overdose survivors as quickly as possible after they’ve been rescued, repeatedly calling, texting, or visiting them to offer choices and addiction education to both the overdose victims and their families. Last year the Wilmington Police Department launched LEAD (law-enforcement assisted diversion). Instead of arresting people found with small amounts of opioids they would drive them to a high quality treatment center and thereafter monitor the addict’s progress in recovery. The city will be providing health-care navigators to guide addicts who don’t have health insurance to pay for treatment. Unlike the failed War on Drugs in the early 1980s, the current crisis has witnessed a shift in approach; addiction is seen as a public health problem rather than a crime problem that a city can can solve with multiple arrests and incarcerations. The North Carolina Harm Reduction Coalition helps keep addicts safe by providing clean needles and Narcan until they access treatment. North Carolina has had Drug Treatment Courts (DTCs) in place since 1995. This program offers an alternative to traditional sentencing, giving addicts the choice of entering recovery programs as opposed to serving jail time. The program has been implemented across the country and has proven over and over again to reduce social and financial costs by reducing recidivism. 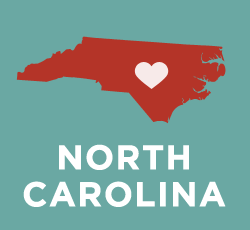 In North Carolina the service has been extended to include parents of abused or neglected children. The drug treatment program demands strict adherence, with frequent drug testing and court visits to assess progress. Patients who don’t comply are returned to regular sentencing. In 2011 the state stopped funding DTCs, and New Hanover County stepped in and continued to run the program. As already mentioned, Wilmington has come to be seen as a kind of city of refuge for substance abusers wanting to get clean, offering a dedicated community of support for recovering addicts. Treatment centers encourage addicts to become self-sufficient and help them see the effects of their addiction from every angle. Before being admitted into a program a patient must be interviewed and examined by a medical professional, most likely a doctor. It must be established that the patient requires addiction treatment and is in stable enough mental and physical health to undergo therapeutic treatment. The doctor will ask about the history of substance abuse and the patient’s life situation at the moment. The doctor may also try to determine if the patient has mental health issues in addition to addiction. Usually this interview takes less than half an hour, but the doctor may ask the patient to undergo a more detailed interview with another professional. At the intake stage the patient will be instructed on what will be expected of them during treatment. They will be told what to bring and what to leave home, and advised as to what types of behaviors won’t be tolerated. A daily schedule will be given. Payment arrangements will be made. The patient may be offered an orientation session to familiarize them with the facility. If the patient has not already gone through detox immediately before entering the long-term inpatient program, they’ll need to go through it now. Detox, short for detoxification, is the period, lasting from several days to a month, when the body rids itself of the drug to which it has become addicted. This needs to take place in a safe environment with medical supervision. Opioid withdrawal symptoms can be eased with medication, notably methadone, buprenorphine and suboxone. All treatment must begin with detox, but detox in itself isn’t enough to sustain long-term sobriety. Inpatient treatment usually takes place in residential treatment centers (RTCs) and treatment lasts three, six, or nine months and sometimes a year or longer. Such programs have been credited with the highest success rate in preventing relapse, even for those who’ve been addicted for a long time. Sometimes life circumstances prevent addicts from entering live-in RTC programs. Family or job demands require the addict to reside in their own home, and outpatient treatment programs exist to address their needs, providing counselling, support, education, medications, and other resources on a visitation basis. Outpatient programs don’t have as high a rate of success in preventing relapse as do inpatient programs, but they do serve a purpose and can be very helpful in providing continuing assistance to addicts who have successfully completed inpatient programs. Aftercare is available because addiction never really stops, and recovery is a lifelong journey. With 300 12-step groups and many other local resources, the addict should always be able to find peer support in any neighborhood. RTC programs and even detox programs encourage and aid the addict in making life choices and setting up support networks for after the treatment has ended so that they can live healthy, addiction-free lives in their communities. What happens after I discharge from rehab? Sometimes even successful graduation from a recovery program doesn’t prepare us to return to the same trials, triggers, and temptations that lead us to substance abuse in the first place. This is why sober living spaces are available, places kept free of drugs and allowing addicts to transition gradually to self-sufficiency. Recovery isn’t about returning to the past; it’s about bravely facing the future you deserve. Let us help you find what you need in Wilmington to get you there.